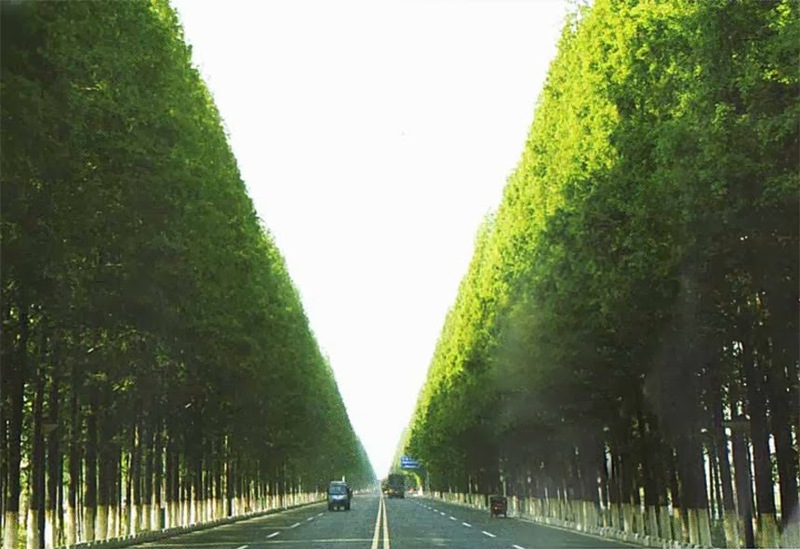 Trees and landscape features are often perceived by trans- portation officials as a safety risk. 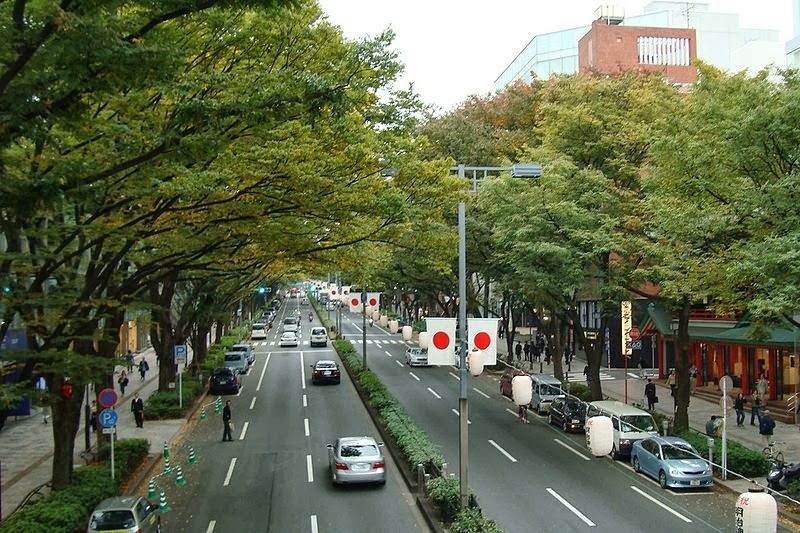 However, evidence from national and local studies in the USA reveal that the inclusion of trees and other streetscape features may actually reduce crashes and injuries on roadways. • Cost less to maintain. • Mitigate air and noise pollution. 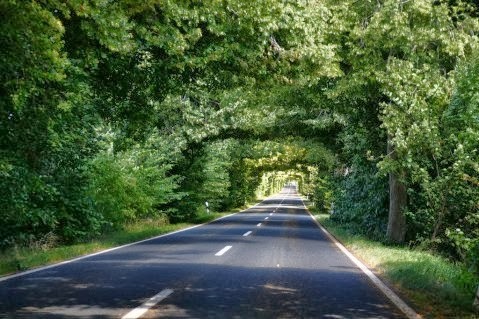 Research done in several states in the USA has shown that motorists benefit from vertical features such as trees to gauge their speed. 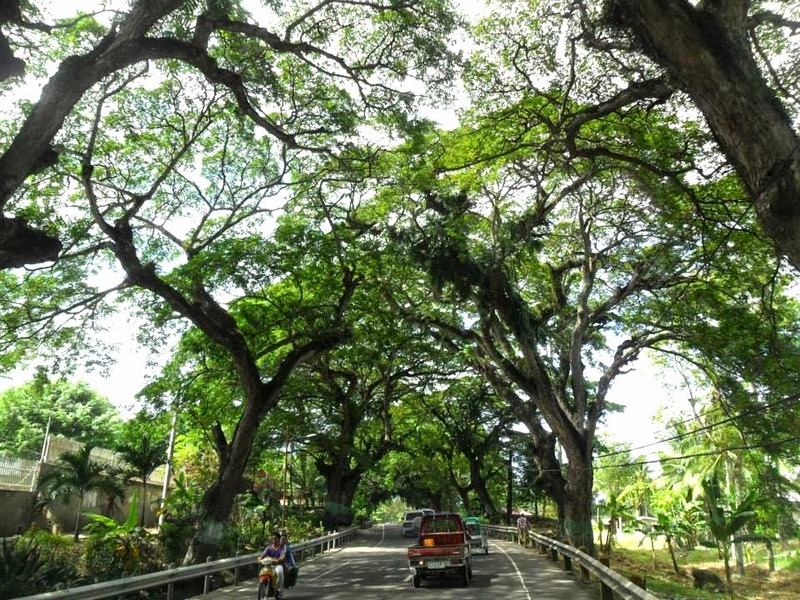 All other factors equal, the condition of pavement on tree-shaded streets is better than on unshaded streets. 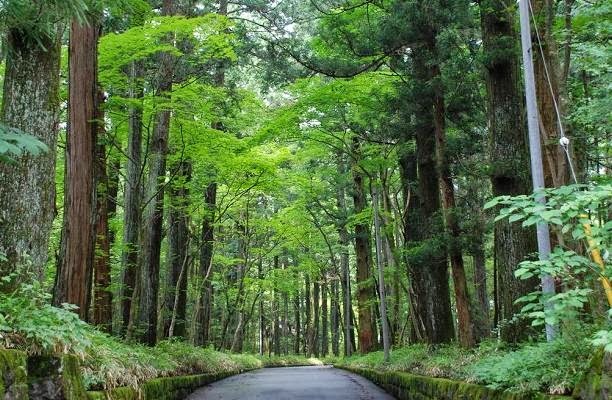 In fact, shaded roads require significantly less maintenance and can save up to 60% of repaving costs over 30 years. Stretching from the Baltic island of Ruegen in the north to the World Heritage Site of Reichenau Island on Lake Constance in the south. Running parallel to main roads it passes through the tree-lined avenues of some of the most beautiful areas of Germany, and ten of the federal states, forming a window onto glorious scenery and untouched landscapes that change with the seasons, and connect hundreds of years of cultural heritage. The ‘Deutsche Alleenstrasse’ is a plus point for the old ‘East Germany’ was that although in the West many avenues were replaced by new roads, lack of finances and resources meant that many historic houses and countless old avenues remained untouched on that side of the wall. Read more on germanpulse . Arcadia Road, Lim Chu Kang Road, Mandai Road, Mount Pleasant Road and South Buona Vista Road. Singapore’s Heritage Roads Scheme protects these ‘green walls’ and ‘green tunnels’. 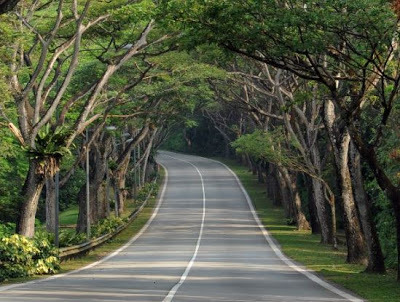 Read more about Singapore’s Heritage Trees and Roads, Watch this video. Going back to our question.. 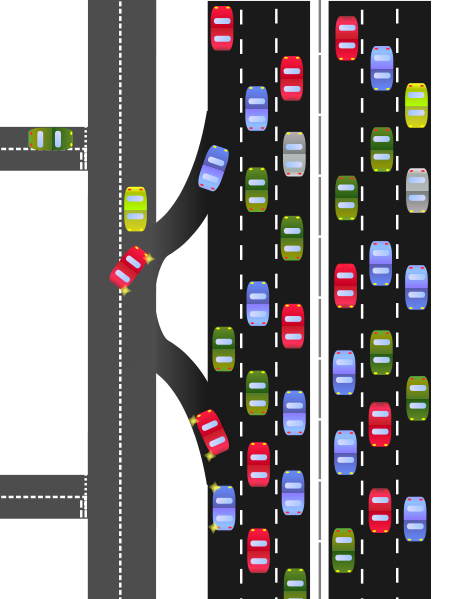 The author also argues that, rather than build new roads, planners should focus on commuters traveling at peak times: (This is the solution they propose in the USA, this cannot apply to Cebu where people don’t ever want to pay toll) “because most cities experience gridlock during rush hours, rather than all day, priced managed lanes address specific congestion problems without saddling the city with overbuilt infrastructure that gets limited use most of the day.” The company argues for congestion pricing and price-managed lanes. Those are fees charged to motorists for roadway use, like a toll road. Still, HNTB’s point is clear: We can’t build our way out of congestion. In fact, every 10 percent increase in road space generates a 10 percent increase in traffic within several years. 1. as we heard from the experts at HNTB —We can’t build our way out of congestion. Meaning, road widening is not really the solution. 2.Focus on commuters traveling at peak times. A proper survey has to be conducted as to the peak hours that people travel south and the causes of congestion. Believe me, I’ve driven that road so many times at different hours of the day and it is not the width of the road or the number of lanes that is the problem. ALL who use it MUST follow the rules of the road. There should be designated crossing areas for pedestrians. Question: Do rules even exist on that road? And if there are rules, are drivers even aware of them? Is there a speed limit? Is there a rule on passing? Because whenever I drive that direction it seems like the rules are: ‘anything goes’ and ‘speed to your heart’s content’. 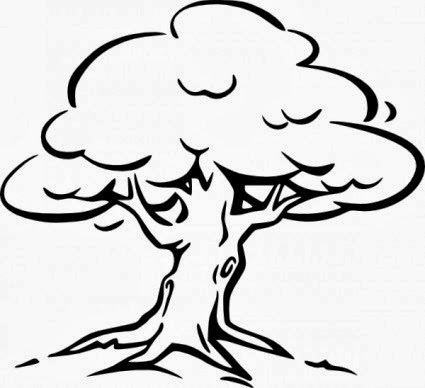 So, please, please before you ax those 154 trees, let’s understand what the problem really is. Thus, cutting those trees do not address any of these core issues. 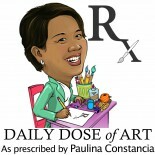 This entry was posted on October 23, 2013 by Paulina Constancia in Care, Imagine, Share and tagged environmental crusades, nature-inspired design.